Even with the outstanding company of family and friends, the food and drinks made my Memorial day. 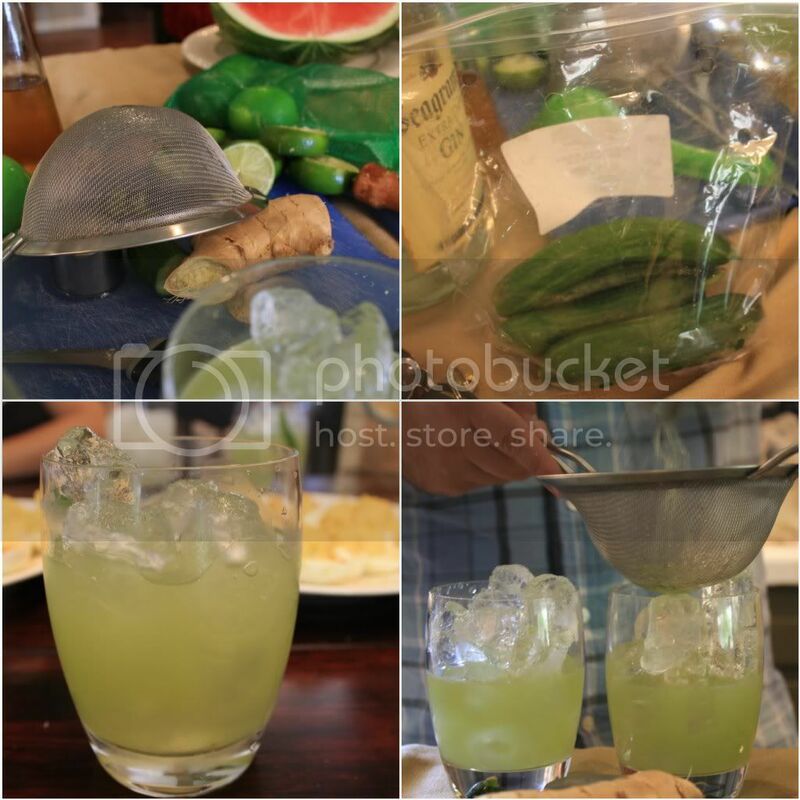 Our dear friend Matthew is a master at concocting creative cocktails from things he has "laying around the house". He offered to supply our feast with a watercress and Japanese cucumber gimlet, and of course no one turned him down. This drink is light, fresh and perfect for a sunny day in the backyard. Let the kids run through the sprinklers (which we totally did and which made for 1,000 great pictures that will be sure to overwhelm you with cute in another post) and parents soak up some much needed sun. But, be careful, this is one of those danger drinks that hide the alcohol and leave you wanting more. Muddle 3 thin cucumber slices, 2 thin fresh ginger slices, and 5-6 leaves of upland cress, or arugula, or something similar in the bottom of a mixing tin really well. 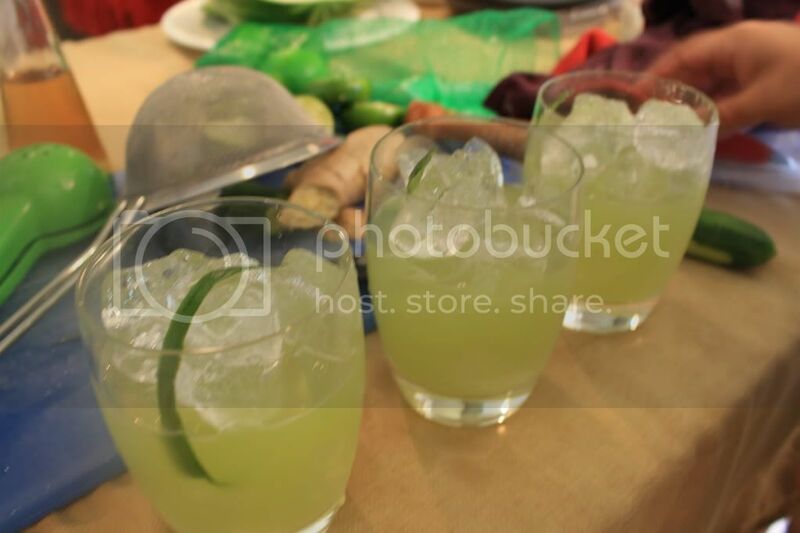 Add the juice of one lime, 3/4 oz. agave syrup (agave thinned over heat with equal part water, simple syrup can substitute), and 2 oz. dry gin to the tin. Fill it up with ice and shake like crazy for about 8 seconds. Strain over ice. Garnished with a shaving of cucumber. 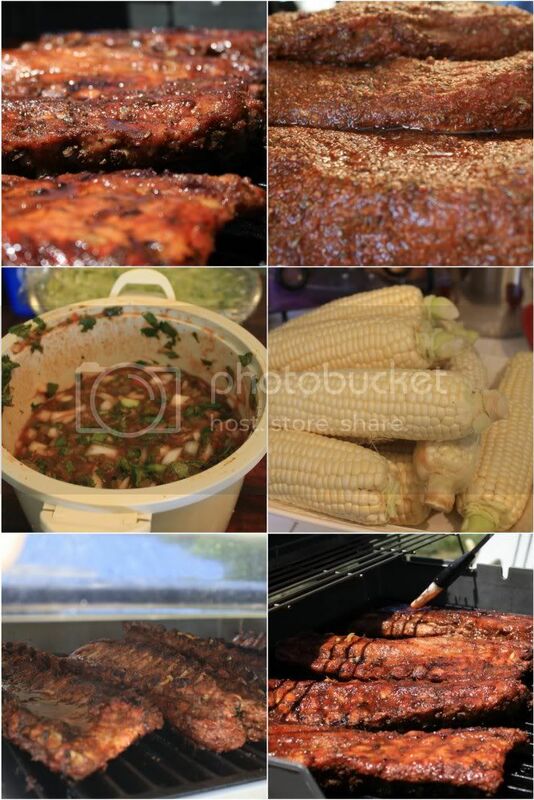 And lets not forget the awesome food that my sister-in-laws boyfriend (a cook at Haven in Orange) cooked up for us...and by "food" I mean the tonguetasmic ribs and tri-tip. Holy red meat...I am not a meat eater...but bring on the leftovers.